Opening its doors last December, Alexis Food Stores, a franchise of Save-A-Lot, an American discount supermarket chain, is breathing new life into the southern tip of Carriacou. Located in Tyrell Bay, the new state of the art shopping facility is just the start of what is expected to be a multi-million dollar shopping plaza. The facility lies adjacent to the preceding Alexis Supermarket in Tyrell Bay which was started 20 years ago by Theodore Alexis. The business was then handed over to his son, Tardi Alexis 5 years ago when the vision to expand into a shopping complex was conceptualised. Alexis Food Stores imports 60% of its food items from Save-A-Lot, with 40% supplied by local farmers. Alexis hopes the supermarket can increase the percentage of products purchased locally. Funding for this facility in the region of EC$3.5 million was provided by the Grenada Cooperative Bank. Duty-free concessions were also made available for the importation of construction equipment through the Government of Grenada. 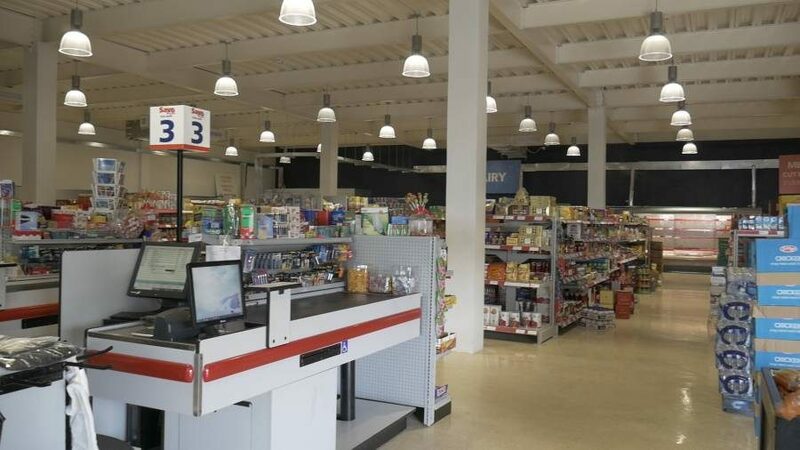 Already the supermarket is experiencing a buzz from customers who are thrilled to have a state of the art supermarket with a wide variety of food supplies. Some loyal customers took the opportunity to express their satisfaction with service provided by the new facility.